5.11 Tactical 1/4 Zip Job Shirt - Fire Navy The 1/4 Zip Job Shirt was engineered with assistance and feedback from emergency services professionals from around the world. Designed to provide superior versatility and utility while remaining tough, comfortable, and professional, our Job Shirt is crafted from 11.6 oz. poly/cotton fleece fabric for a perfect blend of all-weather warmth and breathability. The exclusive Chest BreakThrough™ pocket utilizes a hook and loop fastener divider to keep your gear within easy reach, and our trademark pen pockets at the left sleeve offer quick convenience. 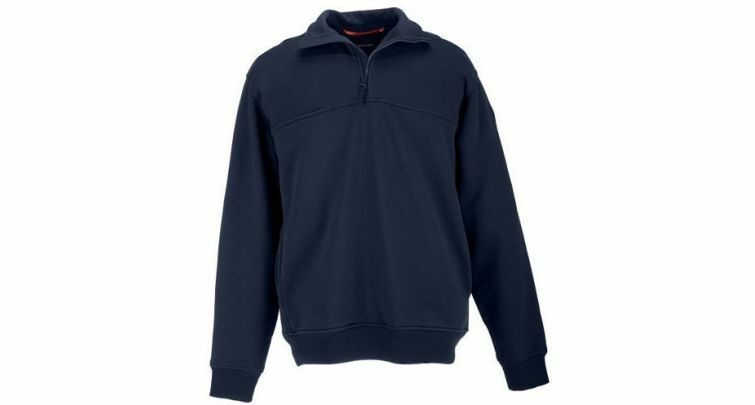 Additional features on the 1/4 Zip Job Shirt include a no roll collar, mic clip pockets at both shoulders, side seam handwarmer pockets, and a stain resistant finish to keep you looking clean, neat, and professional throughout your shift.